-The open tube in the middle of the pan allows heat to be distributed through the center, as well as the sides, to ensure that the inside of the cake baked before the crust turns brown, always resulting in a perfectly golden exterior. 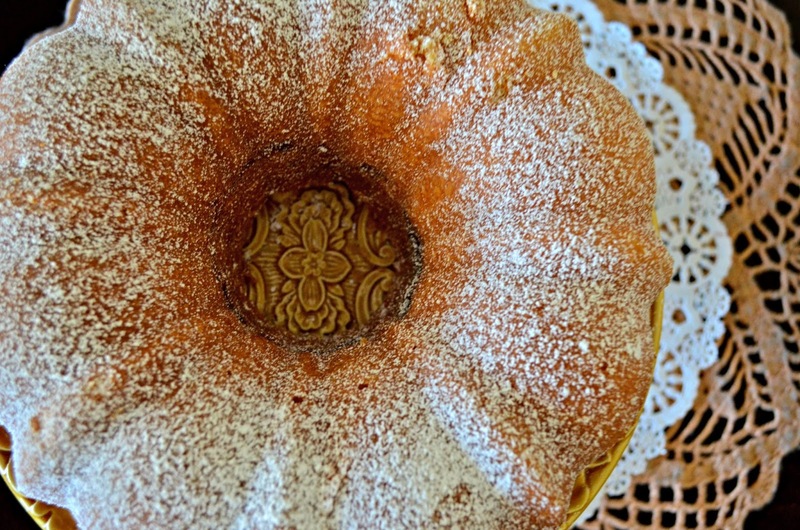 -"Bund" cakes (known as bundkuchen: kuchen=cake) originated in Germany, Austria, and Hungary. In German, bund means the gathering of people. 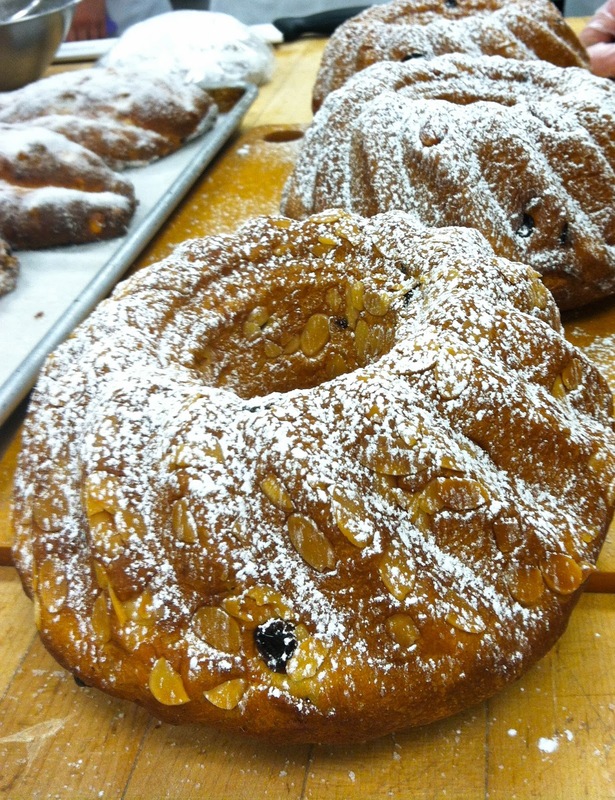 The bundt pan's shape was inspired by a European fruit cake similar to brioche: Kugelhupf (or gugelhupf), popular in Jewish communities in Germany, Austria, and Poland. -Nordic Ware began producing bundt pans in Minnesota as a request by a society of Jewish women who desired cakes that reminded them of home in Europe. 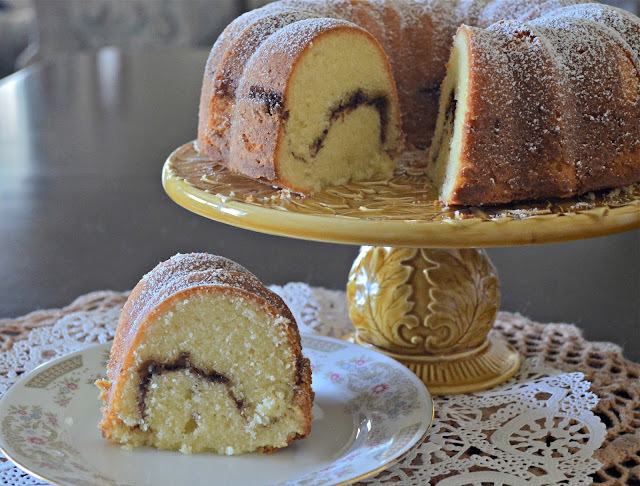 - For a pretty appearance when inverting the cake, insert 1/3 of the batter into the pan and use a spoon to spread the batter into all the nooks and crannies of the pan. Then add the remaining batter. 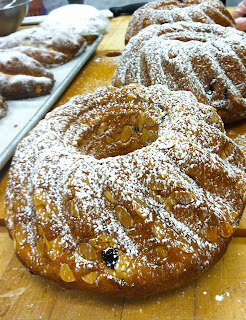 - do not fill the bundt pan more than 3/4 way full. -If the cake sticks to the pan, try loosening the edges with a plastic knife. If the cake still doesn't budge, freeze the cake and tap the frozen cake on the counter before inverting. 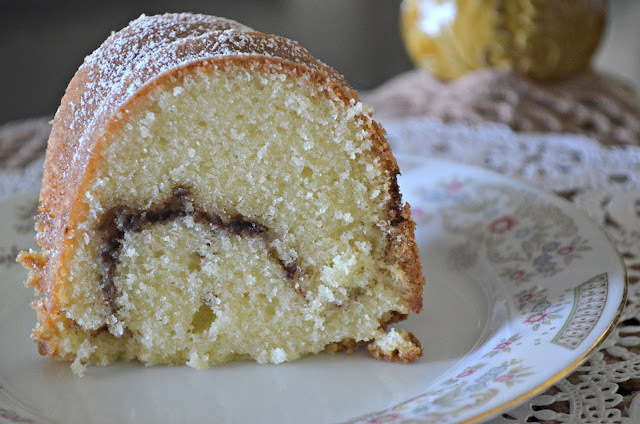 -When baking a layer cake in a bundt pan, increase the baking powder by 1/2 teaspoon to give the cake more structure and level. 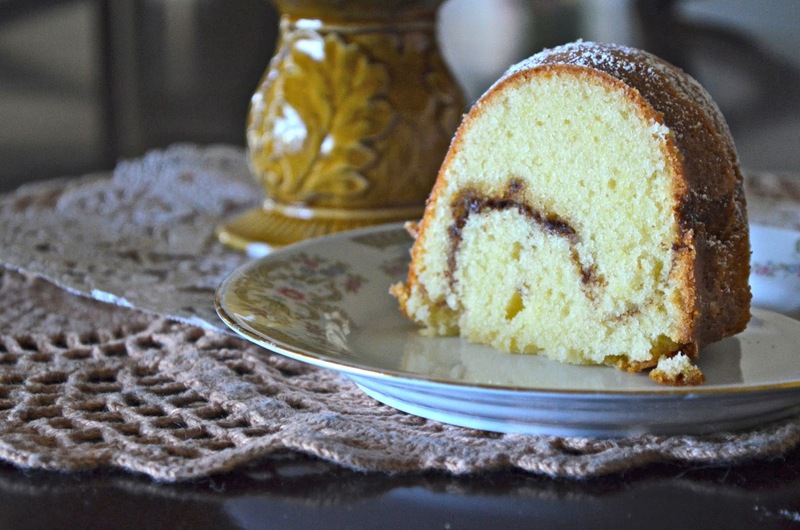 Why call it pound cake? Does it weigh a pound? -In original pound cakes, no leaveners are used besides air the air incorporated while creaming the butter and sugar (this recipe however, uses baking powder due to the bundt pan's lack of structure). -Pound cake is not a light and fluffy "betty crocker box mix texture" cake, it is dense and heavy (well, just look at the butter content). 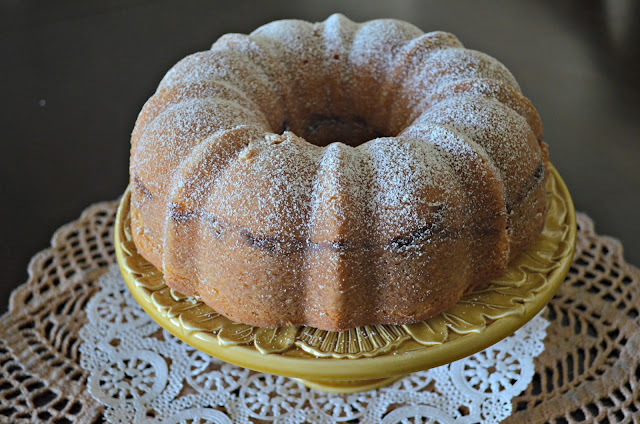 For this reason, pound cakes are often used in cake shops to provide more structure for fondant-covered cakes. 1. 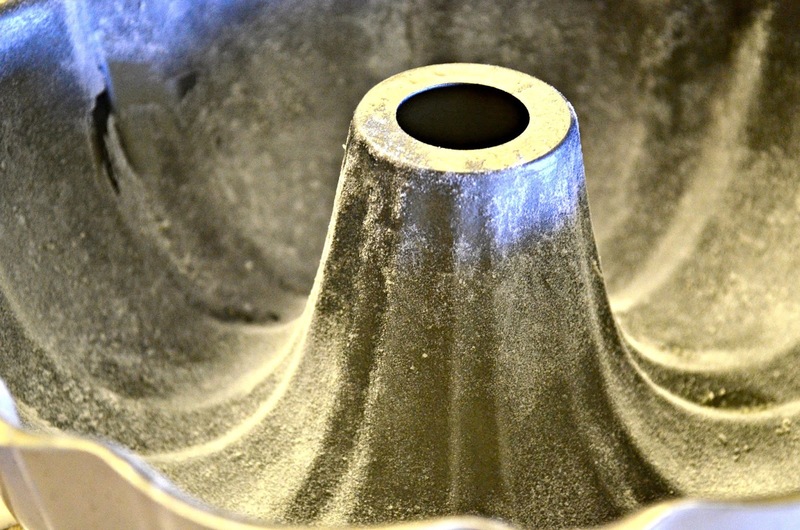 Prepare a bundt pan by brushing 1 tbsp. melted butter on the pan and dust with flour (make sure you tap out the excess flour) the entire pan should be coated in a light layer of flour. Preheat oven to 300 degrees. 2. Sift together the flour, salt, and baking powder. In a separate bowl, stir together the milk and vanilla, set aside. In another bowl, prepare the cinnamon filling by stirring together the brown sugar and cinnamon. 3. In the bowl of a mixer fitted with a paddle attachment, cream the butter on medium speed. While the butter is creaming, slowly add the sugar. Continue creaming for 1 minute. 4. Add the eggs one at a time, beating throughly after each addition. 5. On slow speed, alternately add the sifted dry ingredients and the milk beginning and ending with the dry mixture. 6. Pour half of the batter into the greased bundt pan. Sprinkle the cinnamon sugar over the batter evenly and pour the remaining batter into the pan. 7. Bake for 75-85 minutes or until a skewer comes out clean from the center of the cake. *Serve or store in a covered container at room temperature for 3 days or in the fridge for 1 week.